I had a feeling this day would come sooner or later. ITV want all of the regions under their control. It seems a bit silly now that Scotland is the only part of the UK which has a separate ITV franchise and look. I feel they want control and they will go for it in 2019. If they manage it, and buy STV, they will have achieved their goal, which was set on January 1st 1993, when the new look ITV started after the 1990 Broadcasting Act. When reading various press releases relating to their financial results over the years, I’ve never read this as being one of their aims. Probably the opposite as there seems to be more money in buying production companies than broadcasters. As we have (exhaustively) discussed on here, ITV will make a decision based on sound business sense rather than to get "control" or to stamp their brand all over it for the sake of it. 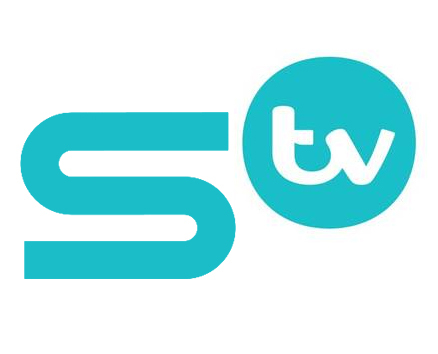 I for one cannae wait for the takeover so we can get a day by day account from JKDerry about how the evil ITV empire is slowly stripping away anything of worth from sweet innocent STV. There's the obvious economies of scale, as well as the production side of things. Scotland would also get proper access to the more supported and more cross-platform ITV Hub rather than having to use STV Player for the main channel. People are used to the ITV brand in Scotland from the sister channels and network programmes. Indeed, taking this a step further, there's been huge investment made in the sister channels, ITV2 especially. To have one brand across the ITV (1) Network at last just makes commercial sense. Although possibly small fry, it also makes cross promotion of key ITV2 shows like Love Island a lot easier for a not insignificant chunk of the audience; I assume Scotland don't see the sister channels cross-promoted on STV? I’ve always felt STV was far inferior to ITV in many respects. The branding alone is poor in comparison. I’ve not got much to add—or rather speculate—other than, as a STV viewer, I think if this were to happen, it would be good for the reasons already stated above whilst also giving viewers a deserving upgrade in quality. I mean you could go the whole hog and reintroduce HTV in Wales. Actually giving all four nations there own identity is a kind of clever move. I wonder if STV Productions would be part of the deal. I suspect it'd be rebranded if they came under the ITV Studios portfolio. It has a degree of inevitability about it, especially now STV's differentiated business strategy (ie. straying into Local TV and expanding online local news) has been binned. I'm surprised it took the City so long to notice what was happening. Of course it would have to be done at the right price for ITV, and there would be some parochial political backlash, but these days the competitors are Netflix, Prime, YouTube and Sky to a lesser degree, and when you try to take these guys on you've got to be big. The STV Player just isn't going to cut it against them, and I doubt the viewers are particularly loyal to the STV brand. ITV could easily argue they'd provide more of what viewers want. If anything, by launching their BBC Scotland channel, the BBC will probably help a sale happen. ITV could easily point to the Beeb as providing a lot of extra local content and news, so there's no longer the market/need for Channel 3 to do it. The fact is it's true. BBC Scotland has just employed a load of ex-STV staff for news output. Northern Ireland coped with it, so did the Channel Islands. I'm sorry, but Scotland really isn't that different when you get down to the bare bones of it. Yes - they're the first to say "we do things our way, cheers" in many, many walks of life. That's Scotland. Only a few years ago UTV and STV were both dumping peaktime shows into graveyard slots or not showing them altogether. And talking to Scottish friends, STV did themselves no favours when they went through that phase of dumping large swathes of the network schedule, with many seeking out English feeds on Sky in order to watch the real deal! If anything, the Single ITV finally happening means the nations get stronger resources across the board. As PRish as it sounds, a Single ITV is the best scenario for ITV to remain competitive in the third decade of the century. Given ITV had to reintroduce Lookaround, I assume it's still filmed in Gateshead. If, and I say IF ITV does buy STV, could management decide to concentrate presentation of the STV central news programme in Glasgow, rather than this bizarre split, wherby a presenter in Glasgow reads half a story, the presenter in Edinburgh the other half? And, if yes, could Lookaround be moved to Edinburgh?